Conducted by the Dutch violinist and conductor Jaap van Zweden, the Dutch Radio Filharmonisch Orkest (Radio Philharmonic Orchestra) performs Igor Stravinsky’s “The Rite of Spring” (French: Le Sacre du printemps), a ballet and orchestral concert work, which was written for the 1913 Paris season of the Russian art critic, patron, ballet impresario Sergei Diaghilev’s Ballets Russes company. Recorded on November 10, 2010 at The Royal Concertgebouw in Amsterdam. 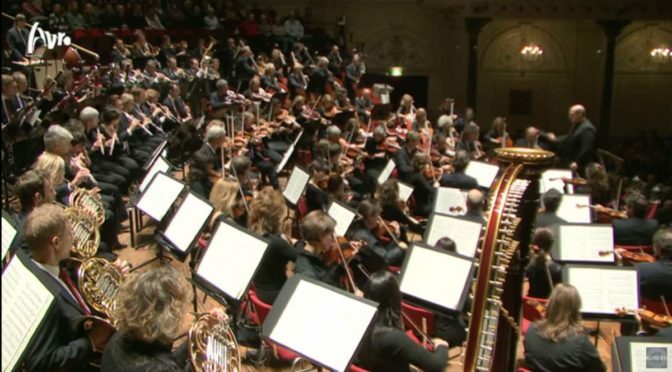 An full-HD video by the Avrotros Klassiek.